This tour will conclude in front of Santa Maria degli Angeli e dei Martiri (near Metro A line stop Repubblica and Metro A and B line stop Termini). We pick up from the central Rome hotels listed below. If you are unable to find your accommodation in the list, please contact us to find your closest location. We are unable to pick up from private residences. 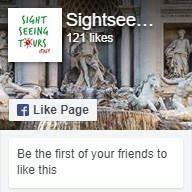 This tour does not include hotel-drop off as the tour will conclude in front of Santa Maria degli Angeli e dei Martiri (near Metro A line stop Repubblica and Metro A and B line stop Termini). 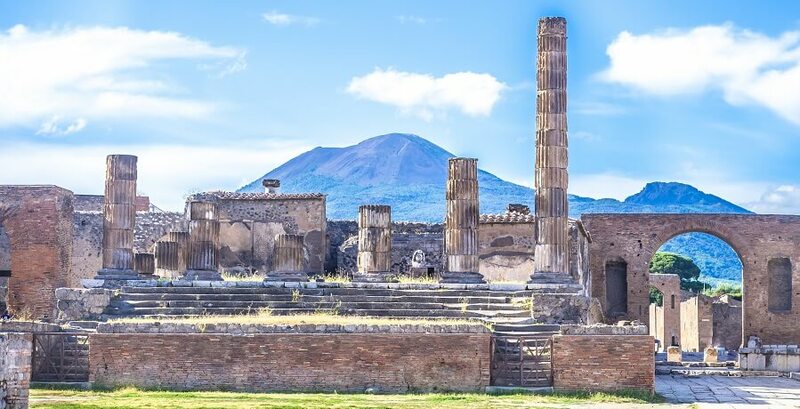 Explore some of Italy’s most breath-taking places on this two-day adventure through Naples, Pompeii, Sorrento, and Capri. You’ll delve deep into the fascinating history of the region, marvel at spectacular views, and tuck into some of the tastiest food in the country. The tour kicks off with a drive down the Highway of the Sun. Along the way, we’ll pass stunning Roman countryside peppered with old ruins and historic villas before we get to our first stop: Naples. This bustling city is full of character and has some amazing views of the Mediterranean. 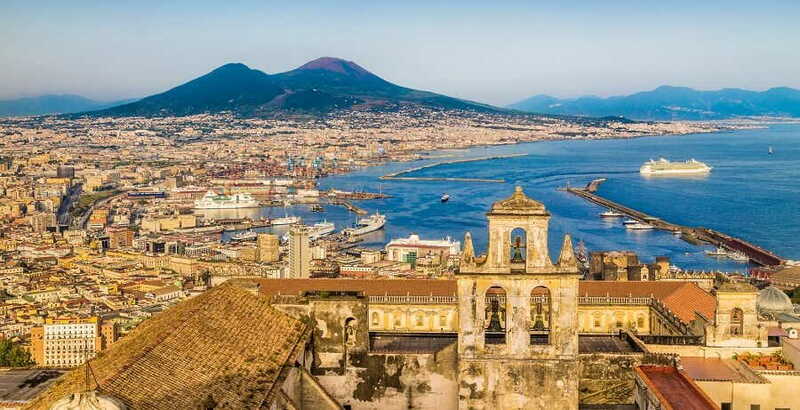 Here, you’ll be able to see Mount Vesuvius towering over the Bay of Naples before we stop off for a traditional Italian lunch. 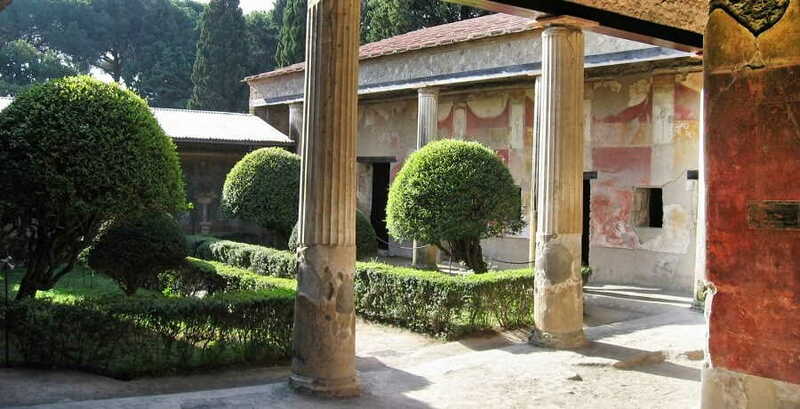 Once we’ve refuelled, we’ll head straight to the UNESCO World Heritage Site of Pompeii. 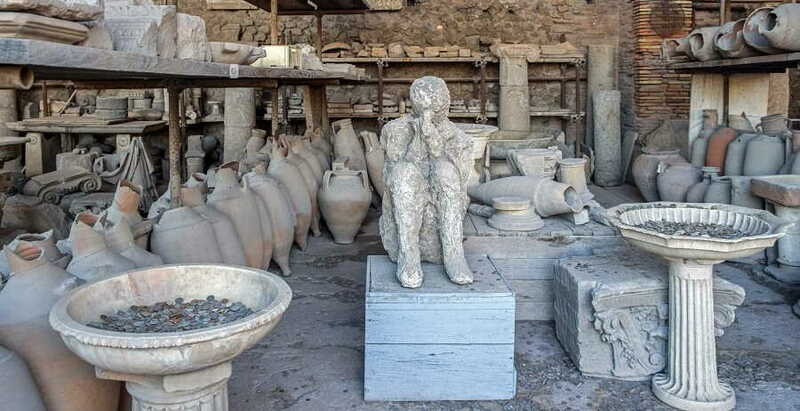 You’ll learn all about the past of the city that was devastated by a volcanic eruption back in 79AD and witness the well-preserved streets that showcase what daily life was like thousands of years ago. After a guided tour of Pompeii, we’ll take you to the Costa Sorrentina, where we’ll go for a formal dinner and check into your hotel room. 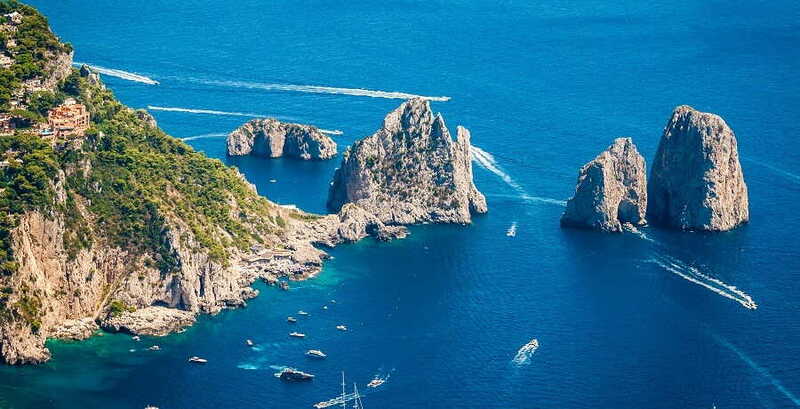 On the second day we’ll take you to the glamorous island of Capri after breakfast. 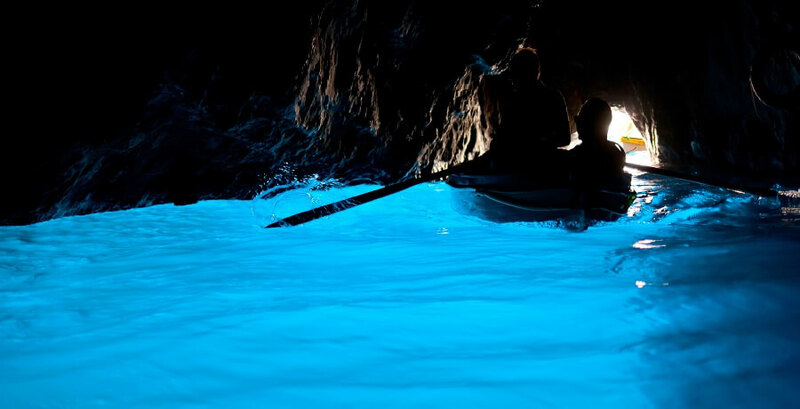 If the weather’s nice, you can visit the Blue Grotto by boat where you can witness the sunlight reflecting into a cave to create a magical blue glow. When we’re back in Capri, we’ll head out on a scenic drive to Anacapri, the highest point on the island. From there, you can gaze out at the surrounding views before we make our way back down to sea level for some lunch. You’ll then have some free time to explore Capri at your own pace. In the afternoon, we’ll board the coach and head to Rome where the tour comes to an end.